Another gay couple have gotten creative and fought back against homophobic food establishments. Following the landmark #Cakegate case in Northern Ireland earlier this year, another restaurant caused outrage when it announced it wouldn’t cater for gay weddings because of the owner’s “Christian beliefs”. 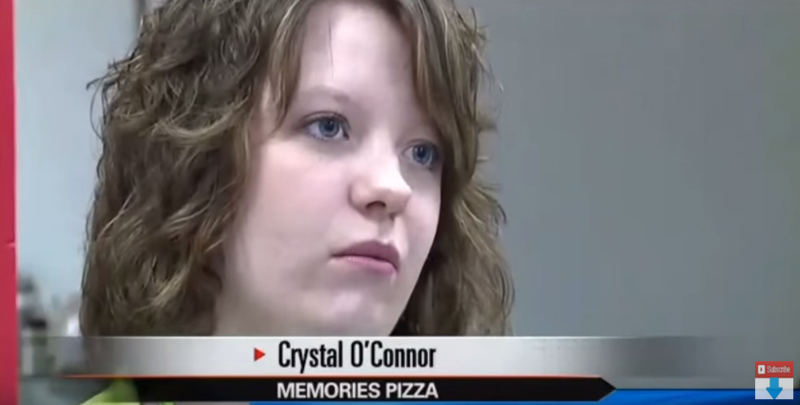 Crystal O’Connor of Memories Pizza in Indiana, U.S. made the controversial statement during a TV interview about the state’s Religious Freedom Restoration Act, passed in March this year, which actually makes her standpoint legal. Memories had to close its doors briefly after threats were made over O’Connor’s comments but, after a fundraising campaign by supporters of their faith-based bigotry, the establishment has now reopened its doors. 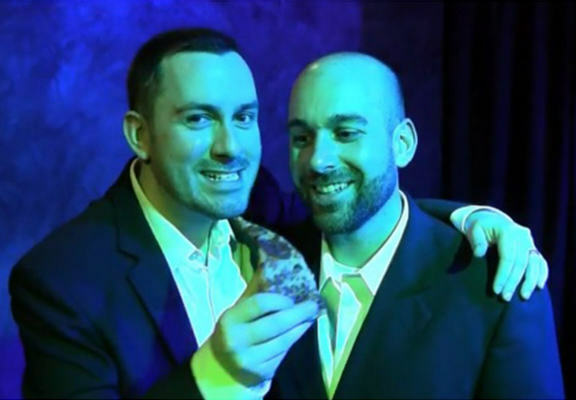 And since it’s back in business, Robin Trevino and his husband Jason Delgatto decided to fight back against the owner’s homophobia in a much smarter way and make some memories of their own. The couple were set to renew their wedding vows, so they decided pizza would be the perfect food for their guests to dine on at the ceremony. Especially this kind of point-proving pizza! Robin – a member of comedy troupe GayCo Ensemble – filmed his visit to Memories, acting “straight and confident” in order to fool the staff. Incredibly, he even managed to keep his cool when he was served by none other than O’Connor herself! And the food, not to mention the meaning behind it, went down a storm with the guests after the ceremony. Memories Pizza! You’ve broke your cherry and catered your first gay wedding. Congratulations! And, frankly, who needs a mic drop when you can sign off a video like this?